Durango Bouldering | Everything you need for a bouldering trip to Durango, CO! Welcome, this site is where you will find the latest information on the bouldering scene in Durango, CO. You can also purchase the 1st edition guidebook for the bouldering in the Durango Area. 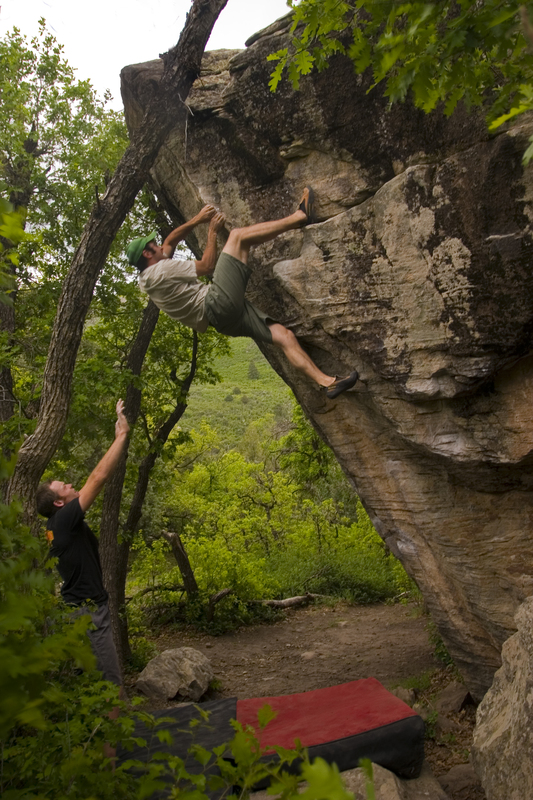 Over 350 problems, with your favorite boulders and routes, plus much more than you could imagine to keep you occupied. Covering the main areas Sailing Hawks, Turtle Lake, 071 and Boxcar plus directions to many areas still being developed! Bill Grasse on The Fin Stand V7. Turtle Lake Bouldering Garden, Durango, CO.
Two at the Hawks from Chris Parker on Vimeo. Looking really nice!!! By the way, not sure if anyone has bouldered up off of the headwaters of the cascade, but I rode from Molass to Hotel Draw on my mountain bike and packed the shoes. I cleaned several euphoria boulders and hit these ones off of cascade. Beautiful! Ian, I have so much F%$#ing info for this site it’s crazy! Three areas, 50ish problems, topo’s, directions, photo’s, etc!!! We gotta get the word out so peep’s can go check out all the new hotness! Actually more like 80-100 problems now that I think about it!! !